I see mycelium as the living network that manifests the natural intelligence imagined by Gaia theorists. The mycelium is an exposed sentient membrane, aware and responsive to changes in its environment. As hikers, deer or insects walk across these sensitive filamentous nets, they leave impressions, and mycelia sense and respond to these movements. A complex and resourceful structure for sharing information, mycelium can adapt and evolve through the ever-changing forces of nature. In other words, he proposes that there is a vast intelligent aware network in the ground beneath our feet. It makes me wonder, what is intelligence? Human beings consider ourselves to be the most intelligent species on earth. Our intelligence has given us the power to build nuclear weapons that can destroy life on earth. But we haven’t yet been able to figure out how to avoid war and oppression. Stamets believes that the mycelium operates at a level of complexity that exceeds the computational powers of our most advanced supercomputers. He sees the mycelium as the earth’s natural Internet. Traditional Mexican shamans and curanderas use certain mushrooms that create visions and healing. Stamets says that psychoactive mushrooms can cause such affects on the human mind because of the chemicals that we share in common. In my faith community we speak about respect for the interdependent web of all existence of which we are a part. Mycelial networks are a visceral manifestation of that web, and we can see and measure their beneficial support for plant life, and for our lives. Scientists like Stamets imagine that if we partner with mycelia, we would be able to greatly accelerate our work to repair the damage we have done to our environment. And that gives me hope for our future. With these mysterious mycelial allies just beneath my feet, I had the courage to write that sermon about nuclear weapons, and their haunting mushroom clouds of death. And each time I remember this old and vast elemental wisdom, I feel less fear. I feel more clearly that I am part of a larger network of beings who are contributing to the health and wholeness of the planet. As we reach out to the beautiful web of all beings, those beings are also reaching out to us. Let me tell you a story. In our congregation we have an auction every other year and one of the things auctioned off is a chance to request a sermon topic. One year the member who won that auction item requested that I talk about nuclear weapons. Well, sure, I said… and then I put the suggestion in my sermon topic folder. Each month as I chose sermon topics for the next month, I would see it there, but I wasn’t sure yet what I would do with it. What could I say about nuclear weapons? I was reminded of the old story about President Calvin Coolidge. One Sunday, with his wife sick, he went to church alone. Upon his return she asked, “What did the pastor talk about?” Coolidge said, “Sin.” “And what did the minister say about sin?” “He was against it.” Well that’s about what I had for nuclear weapons: I was against them. For me, a worship service is meant to be about hope. And nuclear weapons are one of the most terrifying dangers that we face in our world. The mushroom cloud image of the atomic bomb represents the potential destruction of most life on earth. So I have to admit, I didn’t feel like researching how bad things were, what new weapons were being created, or who might try to use them. And most of all, I wasn’t sure what I could say next. I never want to send people home from worship with more fear or despair than they came in with. So the topic sat in my folder, and I occasionally added an article or resource to the file; but each month, I’d say, I’ll do that one later. How do we face the biggest dangers that threaten our world? What gives us courage and hope? 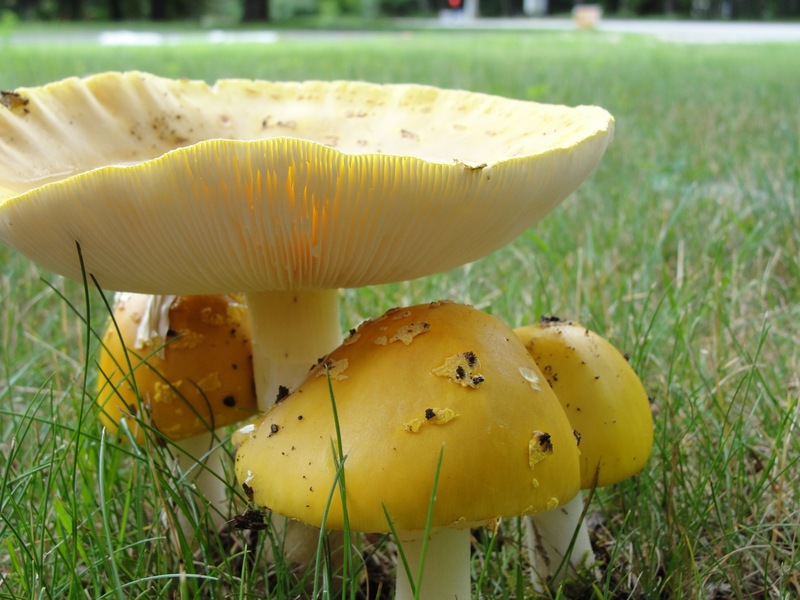 Several months later, I came upon an article about mushrooms. It was an interview with Paul Stamets, about How Mushrooms Can Help Save the World. I have to admit that I had never been a big fan of mushrooms. I tolerated their presence on pizza and in casserole dishes. I had never experimented with the psychedelic varieties back in college. A while ago, Margy started taking photos of mushrooms, as they popped up in our back yard, and that helped me to appreciate their strange and diverse beauty. But I had no idea. I had no idea that mushrooms were the fruit of the mycelium, a vast underground network of fungal fibers that can stretch for miles. I had no idea that those fibers form one entity called a mycelial mat. I had no idea that a mycelial mat in eastern Oregon was considered by scientists to be the largest organism in the world. It covers twenty-two hundred acres and is more than two thousand years old. 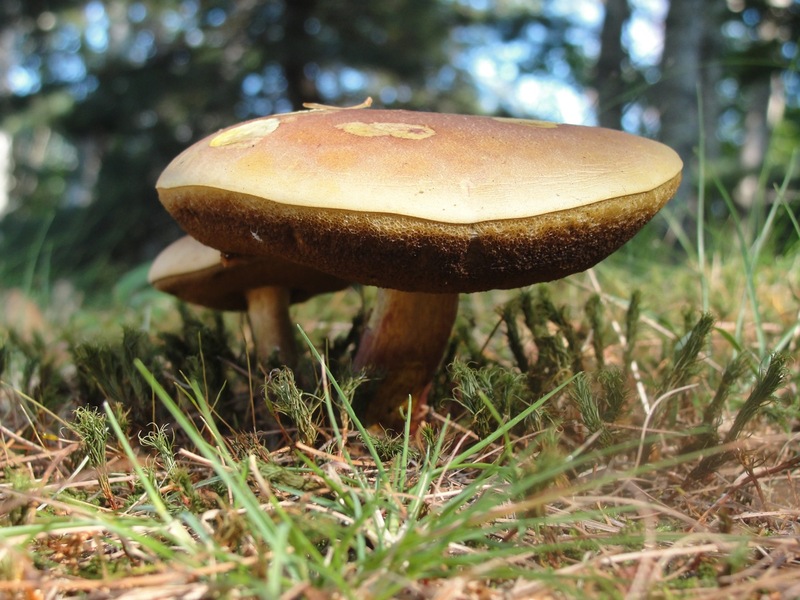 I had no idea that mycelial networks regulate the nutrients of plant life in the forest, transferring sugars from tree species that have enough to other tree species that need more to survive. And most of all, I had no idea that mycelial networks communicate. To do this they use methods similar to those found in the nerve fibers in our own brains; they use some of the very same neurotransmitters that allow us to think.